TU/e becomes a Fairtrade University. As of 3 November, TU Eindhoven may call itself a fair-trade university. Apart from carrying out the fair-trade thought, buying fait products and conducting durable management, TU/e is also researching possibilities on technological level, such as Fairphone.TU/e’s GO Green Office is the driving force behind the fair-trade campus. The main point of fair-trade is trading in a fair way, taking in account a proper work environment, fair payment and justness in international trade. Last Spring, the kickoff of the Fairtrade University campaign took place. Cyrille Gijbels-Janssen, coordinator of the GO Green Office: “We have broadcasted the films True Cost (about the fashion industry) and Blood in the Mobile on the mobile phone industry. 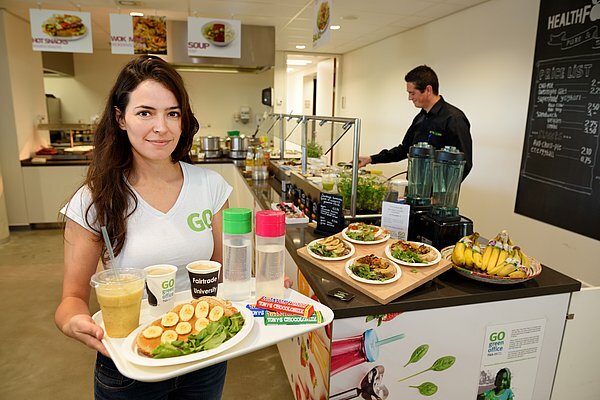 Next to that, we have had lectures from, for example Maurits Groen and we also offer fair-trade meals on the campus. All this in cooperation with several partners such as Studium Generale, Technology for Global Development, caterers Eurest and Healthfoodness and foundation Switch/ContourdeTwern, who has monitored this project very closely.